He is a strong believer of the Christian doctrine. When he read the article, it inspired and opened him. He said “This is a good article. In the end of the day, the promised land is a society where people will live without the bad things we see now.” He always believed that my refusal/skepticism to go to church with him is because, somehow, I’m a wrong person or it is because of the party or something. We talked further and deeply after that. He told us a lot more about his work. He works at a bread factory, Sasco Bread. He said, “I can really see how the bosses will squeeze everything from us until we are dry, with no life. We work at the factory for eight to ten hours a day and get paid only R9-R12 (7-9 cents US)/hour”. In communism, we won’t have to work long hours because we will be producing for the needs of our class, not for profit. There will be work for everyone to do and contributions for everyone to make. Workers all over the world work long hours because capitalist bosses want to make maximum profit. They reduce the number of workers so they don’t have to pay much in wages while extending hours. The few that are left cover for the reduced number of workers. Our friend took a few copies of Red Flag. He said he was going to give them to some workers at his work place. He said we must go there and distribute Red Flag because workers are angry. Workers have every reason to be angry. Most importantly, workers have every reason to fight the capitalist bosses, destroy their system with a communist revolution, and establish a society where they don’t work for money or individual bosses but for their needs. Otherwise, we were winning people to believe that we could make capitalism better. We know now that there is only one way to make a better world, and that is to totally get rid of capitalism and build a communist society. Finally, we understand the phrase “We have nothing to lose but our chains”. Our “base” is our family, fellow workers/ students/ soldiers, neighbors and friends. Sometimes when we are with them, they want to know what we have been up to. We talk about a struggle on our job, or going to a demonstration or joining workers on a picket line. They may ask questions, or wonder why we do these things. 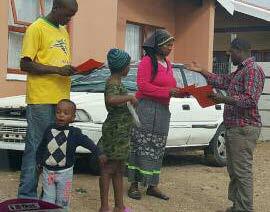 They take the Red Flag, or the leaflet we passed out. But really, we should be including them in all these activities. And we in turn need to step into their lives…even if it means altering our schedules or feeling awkward. Then we will be able to struggle and advance the relationship beyond “us and them.” They want to know how we live as communists, what struggles have we lived through and how we have learned from other workers. Two good examples come to my mind. One was mentioned in a recent article from Seattle about a newer comrade who came with us to meet farmworkers who had gone on strike when a fellow worker died. Talking about communism with these workers gave us all hope that the working class will one day seize power from these racist murderers. Another was a dinner organized by a friend of a friend to bring Muslims and non-Muslims together to eat, talk, and learn about each other. There was some skepticism initially but ties were made that have resulted in several backyard barbecues that featured great multinational discussions among the guests! These discussions have shown us that many people in our base (and all over the world) are fed up with this racist, sexist, violent system. They want to make changes, and have given up relying on the Democratic Party, the sellout unions, and religion. This is a great time to expand our relationships among the working class. (Young people especially). Let’s build for our upcoming November events with this in mind! As a recent letter said, ICWP should be encouraging everyone to exercise leadership. Members should encourage friends who are not yet communists to play an active role – sometimes a leadership one – in responding to racism in their workplaces, military units, schools and neighborhoods. They should suggest to their friends that they adopt a class line on racism even if those friends are not fully convinced about other aspects of communism. Friends will not be able to decide whether or not to adopt a communist position unless they can test communist ideas like the Marxist conception of racism, among other things, applying those ideas as active participants in class struggle. 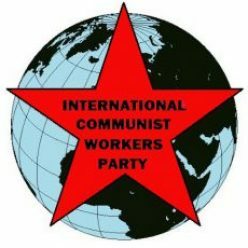 If you’re going to help new friends of ICWP to see how Marxist conceptions of racism and anti-racist struggles work out in practice, you’ll need to provide them with evidence that will convince them and, more importantly, that they can use to convince others to adopt that conception. That evidence will have to be mainly drawn from reform struggles. And – if you are going to suggest readings other than ICWP’s own – they will have to be from authors who don’t accept ICWP’s line on reform and revolution. Could you make do with just examples from ICWP’s practice? I doubt it. My experience is that other leftists – quite properly – insist on thinking about a wide range of historical examples and analyses. So ICWP should be prepared to recommend readings that help to advance a Marxist understanding of race and racism (and of genders and sexism) even when those readings also advance other, reformist, positions.